Interlocking medallion shapes with beaded borders and filled with tendrils that have flower-heads. The design is closely related to the continuous lotus vine of Cat. no. 238 [EA1990.247]. The resist defines the pattern, the background is red. The design was probably resist-stamped, as the outlines are slightly less clearly defined on the reverse. Similar to the more coarsely printed, blue design of Cat. no. 238 [EA1990.247]. This similarity links the pattern also with two fragments found at Quseir al-Qadim (see Vogelsang-Eastwood 1990: Cat. nos. 27 & 28). 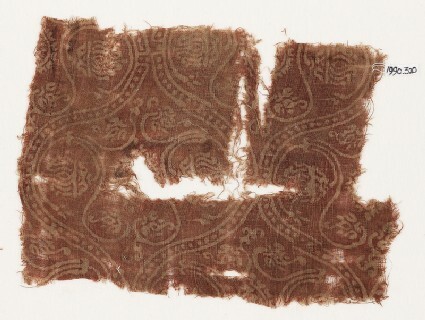 The fragment was given a C-14 date of 1060 CE +/- 40. 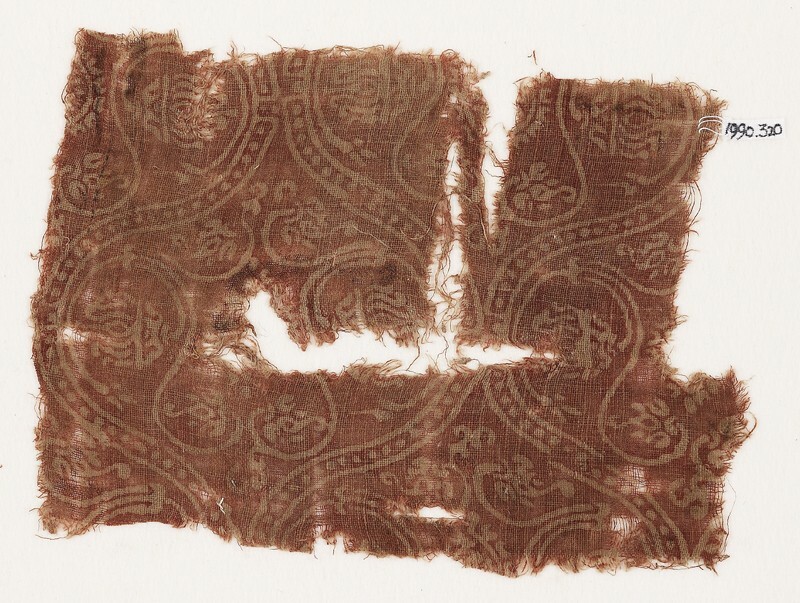 The dye analysis has shown that the colorant used was alizarin with purpurin, the source of which was Rubia tinctorum L.